Steam rating and and having had prepurchased the game. I kinda warned you guys about the dangers of a game without a really big open full game beta. The first hours I was excited about a new star control game but the initial momentum of the excitement got me thru the continue playing for sometime. The first time i launced the game the rating in steam was around %90ish. Yesterday it was 75 and now it is 73 and it will continue to drop. As people play the game they understand the game in really unfinished. Hence people put bad reviews. 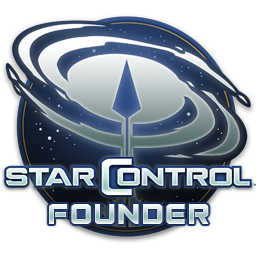 I love star control games and i love most of your games and nearly have all of them on steam but seeing this unfinished game being released made me really sad. The interface is really really bad. You can click the journal and it autopilots to the world but the when you click on the objective that tells you to go to a homeplanet it doesnt auto pilot you. Info on values of weapons are not show anywhere at all (damage, range, rate of fire, energy consumption etc.). When you autopilot somewhere there should be an indicator that shows where you are going on autopilot. And also really annoyingly whenever i set autopilot to somewhere as soon as i enter the menu to check something else, the autopilot drops and i have to set it again. And Outfit part of the the shipyard menu is not user friendly. You should be able to drag modules to other slots that are compatible with the module. Objective menu, and captain's log should have a search feature that filters words. Sector maps should be able to be used to find races home star systems that you have discovered. Also there should be quest markers on the map to show you where the quests are. Also as for gameplay, there should be a storage facility in the Sol that you can put stuff you dont want to sell at the moment and dont want to carry around with your ship. Storyline is ok but far from grasping. Planet exploration is goodish but i have been to hunderds of planets the aliens on the planet are just 3-4 type. Nothing else. Combat is the only good part and complete part of the game. So everyone is happy about the game then. cool. I agree there should be a storage facility at Sol. The wiki gives the data about the weapons but yeah maybe that should be in the game. Right now you can make custom markers in certain colors and name them on the star map. It's enough to label homeworlds, colonies (for refueling), etc. Yes, it's called review bombing. You claim the game is unfinished. Wait for the expansions to come out. It's what I do for most games because I want to play it only once and not have to play again to get all the content. After the additional content the ratings should go up. Now that was a game that was my money worth. It came out complete and without bugs. They did not need expansion packs to correct the game later. When I buy a game in advance I usually trust that it would come out good but this time I failed. Hate to break it to you, sunshine, but XCom came with plenty of bugs. Including install bugs on Steam. XCom also didn't have nitwits purposely trying to review bomb their game. Yes, it is always because of bad reviewers othrewise the game is soo good. Poor Stardock. You're not one of those Star Control 2 fanboys are you? Sure Origins has a few things it can improve upon, but all in all, it's playing like a fun, laughable and enjoyable game to me. I'm getting that "I'll check out this one last star system before I set down the controller for the day" feeling about this game, yet I end up exploring another two after that. Don't you have that feeling too? The inner urge to keep playing Having that feeling makes this game that much better! The game is fantastic. Everyone I've personally spoken to, and know have actually played it, seem to think so. I am a 40 years old fan of the original games but I also have and like most of Stardock games. Galactic Civlizations series are a really made and complete game. I have more than 300 games at steam and I have aquired the ability discern if a game is complete and well made. Instead we got another Sorceror King. Which made me sad. I hope the developers take the bad comments and rating to heart and make everything in their power to make a Galactic Civiizations grade game out of this mess of a game.